Visual motor integration is the use of visual information to make a motor plan. These “motor plans” include things like balance, walking in a straight line, handwriting and solving puzzles like mazes and parquetry patterns. In the earliest days of baby’s life, they see an item across the room. A parent, a toy or a favorite snack can ignite a spark to move. This is a developmentally early example of vision facilitating a motor plan. When a child has poor vision, they tend to not explore their environment and consequently show decreased gross motor skills. As children learn to write, visual motor integration plays an important part as the child sees the letter then copies the letter, a fine motor action. The visual motor process starts with vision. The child must see the letters accurately in order to copy them accurately. The child then must have adequate strength and coordination to execute the task. Errors in visual motor integration can be related to difficulty with the visual input or motor output of the equation. Error of the motor part tend to be quickly identified by occupational therapists as perhaps weak 3 point pinch during hand writing or weak leg muscles while walking a balance beam. But what about the visual input? What if this child has poor eye teaming or reduced vision? Imagine someone attempting to identify a coin by only using their sense of touch, only there is glove on their hand. This would be very difficult and the person would most likely be incorrect. Does this person have a problem processing tactile information? Of course not! They have not gathered accurate information and therefore will not process to the correct result. The same thing happens when a child with vision problems has their visual motor integration tested. The child always has reduced visual motor integration because they are not getting accurate visual information. The most consistent functional problem seen in children with eye teaming problems is below age appropriate visual motor integration. 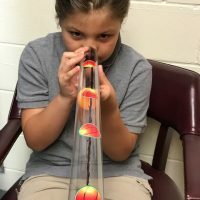 There are several good tools for assessing visual motor integration including the Test of Visual Motor Skills , Full Range Test of Visual Motor Skills, and Beery Visual Motor Integration test. These all are standardized test and are part of any good occupational therapist’s assessment. Children with visual motor integration problems will have reduced balance and difficulty with handwriting and copying from the board. They have difficulty with visual puzzles and finding the visual differences in shapes and drawing. Treatment of the deficits will be very difficult if the child is having eye teaming or other vision problems. There are some iPad Apps too!! My Mosaic has kids make pictures moving colored dots. The Matrix Games has several games for putting shapes together. 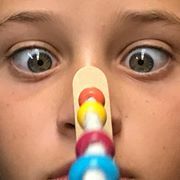 This entry was posted in occupational therapy, pediatric, vision rehabilitation and tagged convergence insufficiency, eye movements, handwriting, occupational therapy, pursuits, vision rehabilitation, visual motor integration. Bookmark the permalink.